We had a successful day with Brian and his crew today. The fish were hungry and we limited out, first trolling for the our big rock and then live lining for the rest! 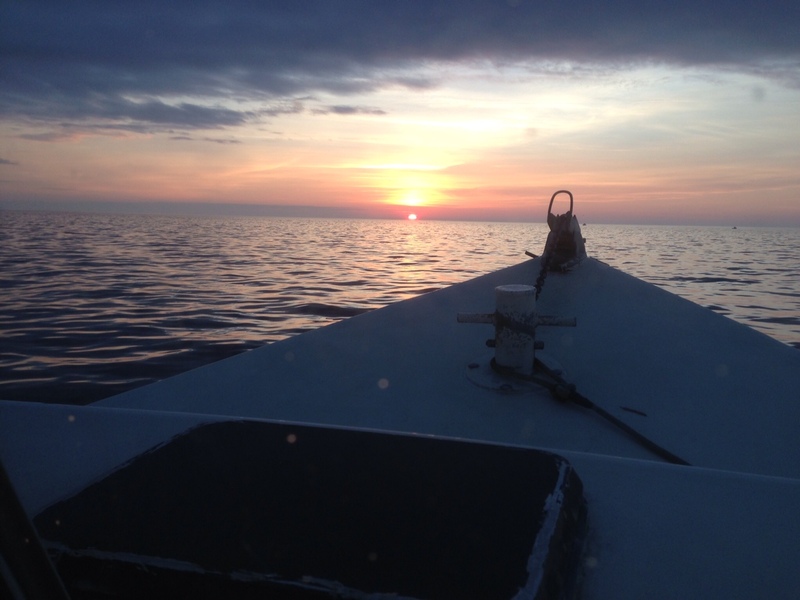 Thanks for joining us and hope to see you back fishing with us…appreciate your business! So glad to have Tim back aboard KIT II today. He and his group couldn’t have had a more perfect weather day. Trolling for the big ones was tough. After trolling until 2pm, we opted to go live lining and the bite was on, getting our limit with no problem. Appreciate your business very much Tim and look forward to next time! The bite was on today for Richard and his crew. We got ’em and headed for the river where it was smooth. Very glad to have fish with us Richard and hope to see you next year. Appreciate your business! Glad to have Stan and his group fish with us today. 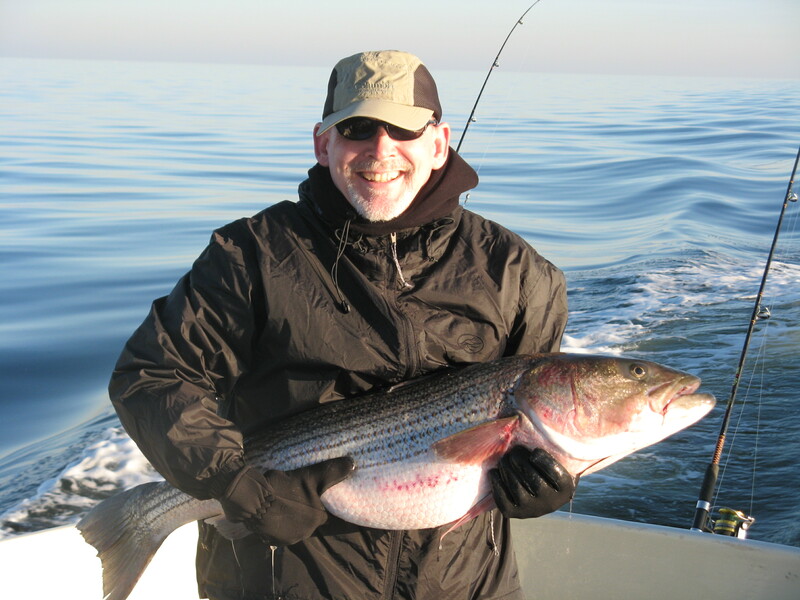 We got our limit quick on our big fish and then went live lining and caught our limit on our under 28″ fish. 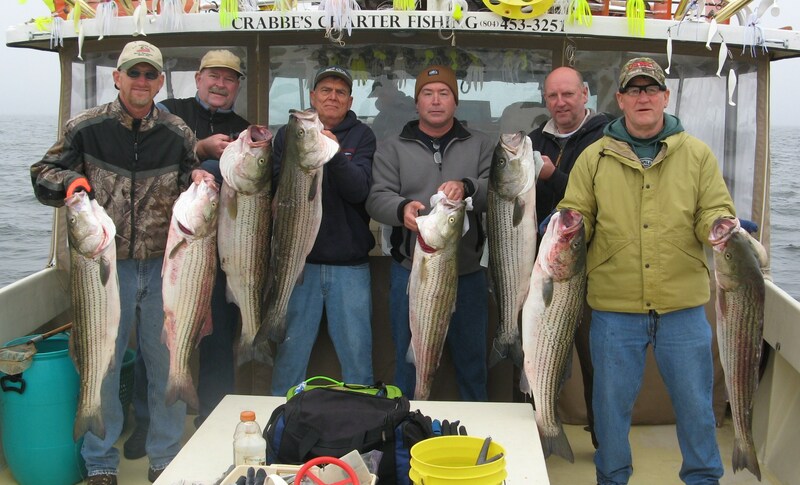 Great group…great fishing! 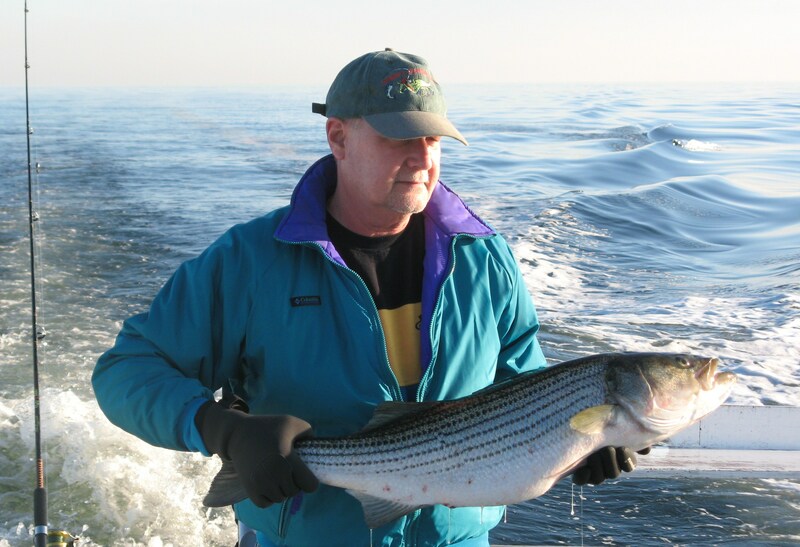 Appreciate your business Stan and look forward to fishing with you in January! We were very thankful to have another great day with Paul and his buddies. It took us some time to work through the fog but the waters were smooth and we got the fish we needed. Appreciate your patience and your business Paul and look forward to your next trip with us! 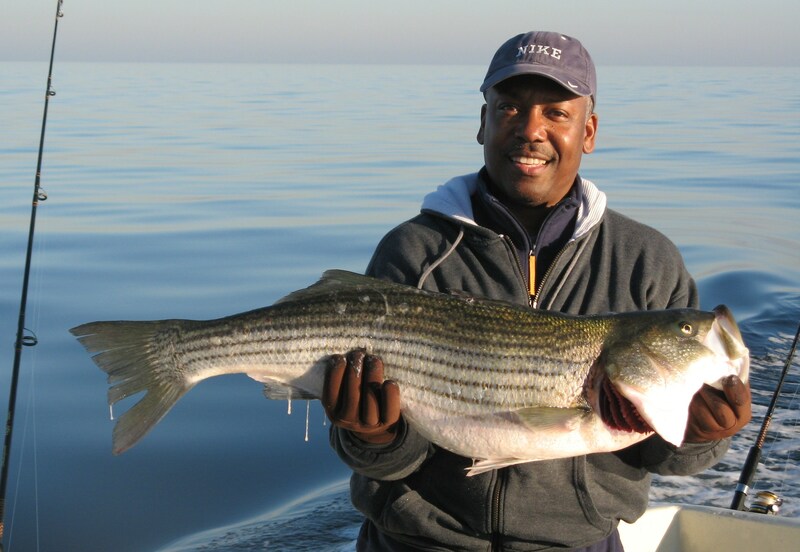 The fog was thick, the seas were calm and the fish were huge! 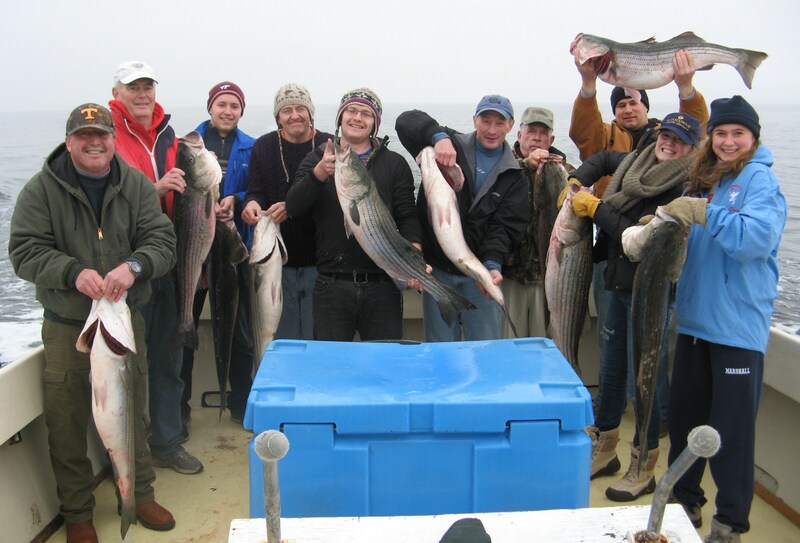 We were glad to have this great group of anglers aboard KIT II. Appreciate your business fellows and hope to have you back again next year! 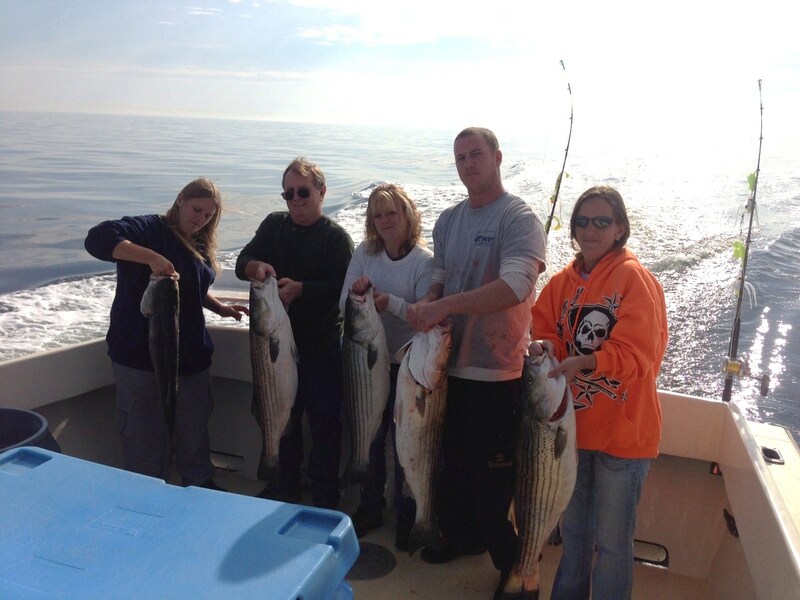 Smooth waters, smooth fishing…that’s what Kelly and her family enjoyed fishing with us. We had a great morning trolling and certainly appreciate them making the trip to fish with us. Thank you Kelly and look forward to having you all back again next year!